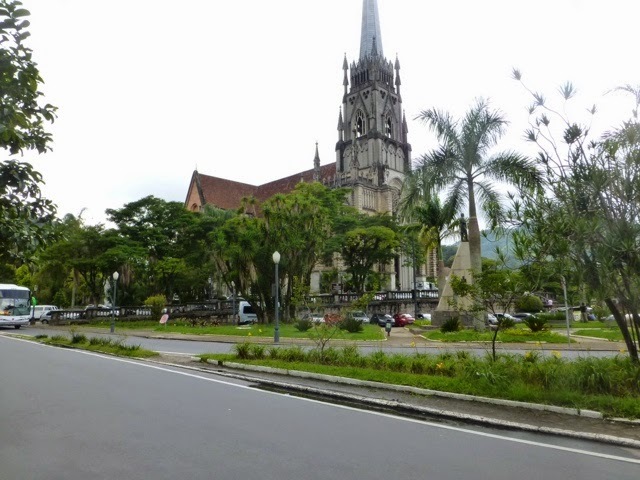 After our arrival at Rio's Galeao International airport, we rented a car and drove a straight to Petropolis (a city one hour away in the surrounding mountain side - a place where I lived from when I was three years old to when I was ten). 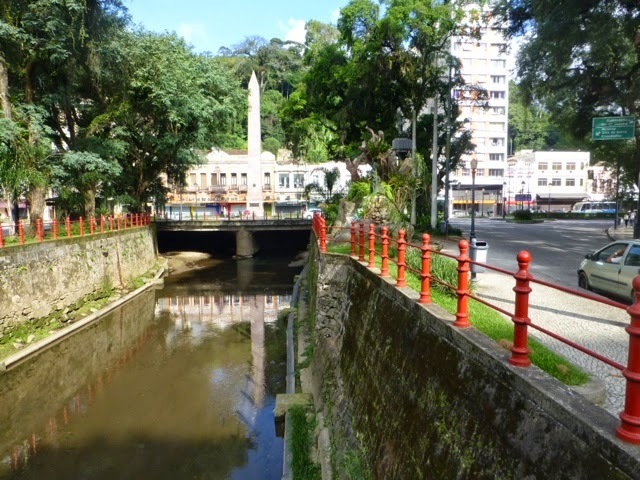 My familty left Petropolis 55 years ago, when it was still a small, sleepy town - a place where elite Cariocas (Rio's citizens) had a second home to get away from Rio's sweltering summer heat. Today it's a bustling city of nearly 150,000, with lots of noise and traffic congestion. We came here mostly as a walk down memory lane for me. It's by no means a tourist mecca, in spite of being a historically interesting city. 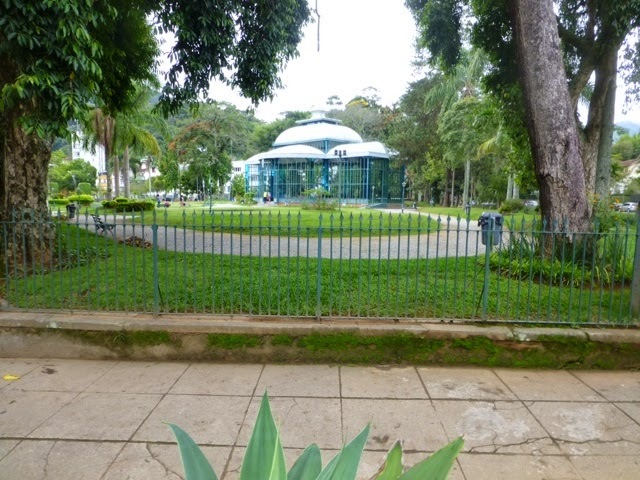 Petropolis, after all, was the home of the two emperors of Brazil, Dom Pedro I and the II. 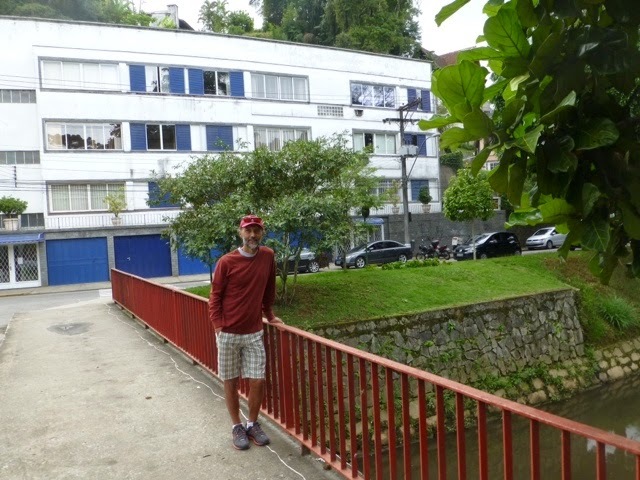 After checking into our quaint hotel, Casablanca Koeler, we started on our tour of Petropolis searching for the flat I lived in that was nearby. On our way, we found the sports club where I used to swim (the Petropolitano), the Bohemia Brewery (where my mom would send me to get brewer's yeast from the vats to help with stomach ailments, and the Palacio Cristal (both very near to where I lived). We lived in the top flat on the right. We then made out way to Avenida Iperanga, where I attended kindergarten (and just down the street from the school was where one of my parent's friend's lived. All places were quite recognizeable. 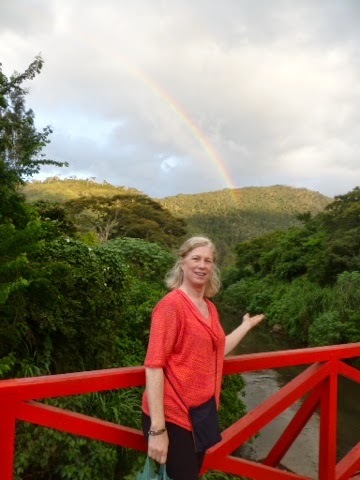 Diane looking for gold at the end of the rainbow. 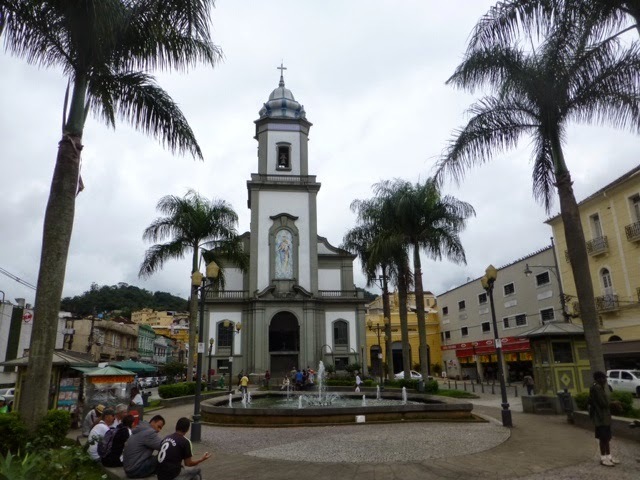 After almoco (lunch - the main meal of the day here), we walked along the main downtown streets. Lots of changes were evident, yet it all looked surrealistically as I remember it, but much busier. 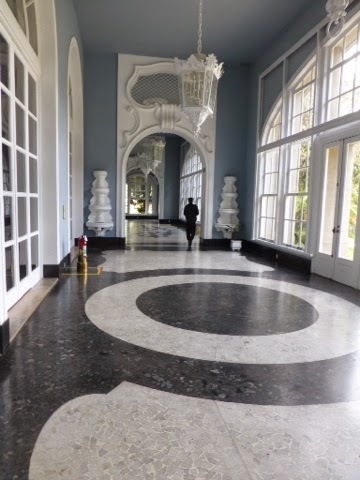 On Sunday morning, after a big buffet breakfast, we headed by car to Palacio Quitandinha. 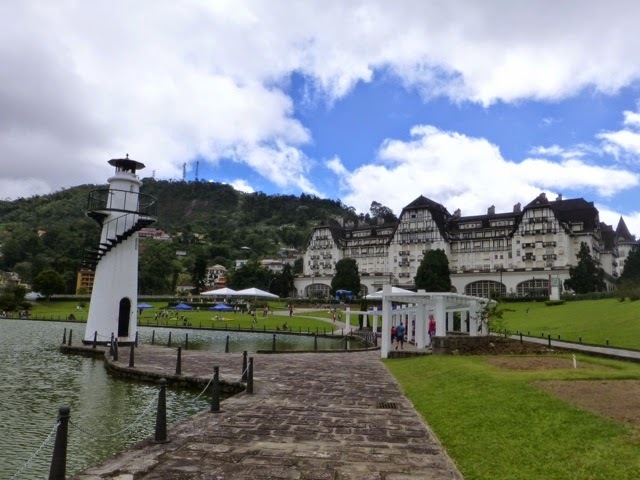 It's a huge and extravagant building designed in the 1930's by an Italian architect in a French-Italian style with a lake in front of it in the shape of Brazil. 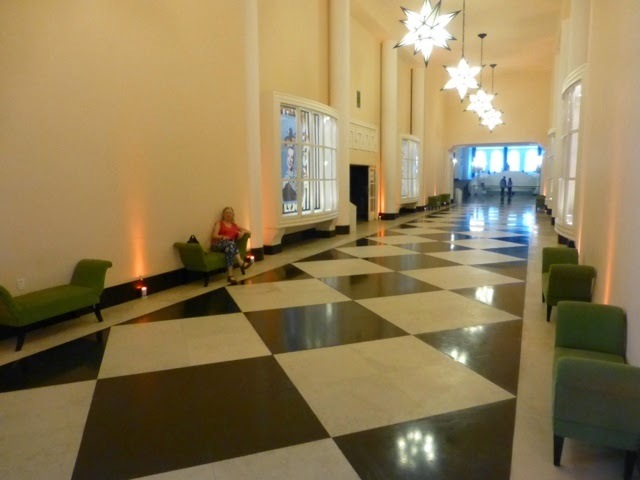 The inside is decorated in more of an art decco style. The once casino, then hotel, now condo units Quitandinha was the largest hotel in Latin America. It had quite a history, particularly with such ilustrious guests such as Errol Flynn, Orson Welles, Lana Turner, Greta Garbo, Walt Disney, Eva Peron and many others. 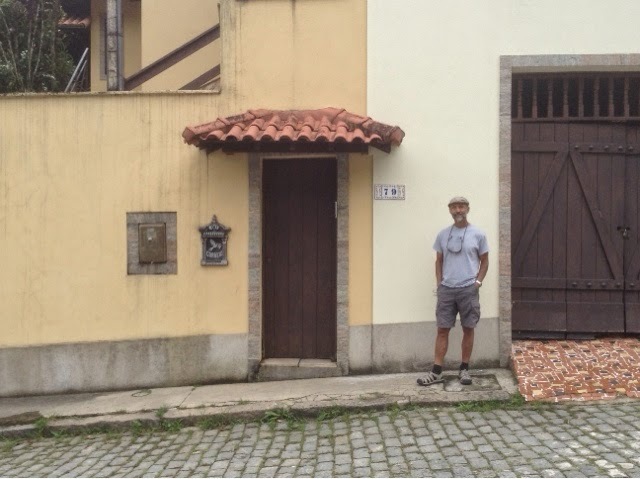 On our return from Quitandinha, we stopped at another house my family had lived. As soon as we got within a mile or so of the neighborhood, I began to recognize the area, the streets, the park and some of the shabby store fronts. We drove right up to the street, turned onto it and there it was - the house I lived in from when I was about three. We lived there for four years. It brought back lots of good memories I had playing with my neighborhood friends who lived just across the street. 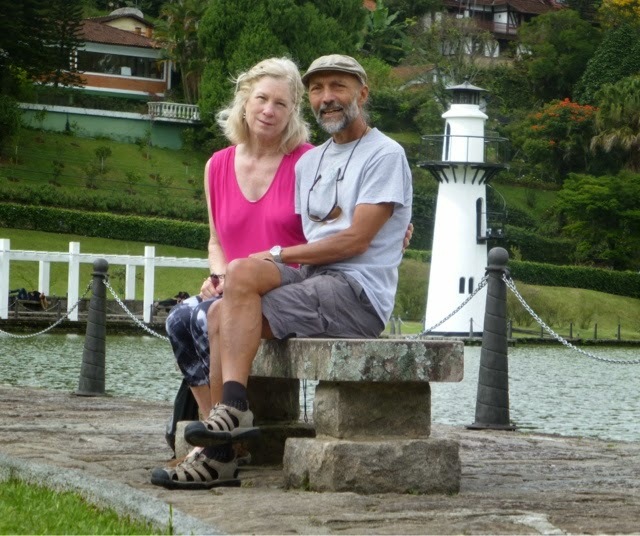 This is the first house we lived in when we moved to Petropolis. Later in the afternoon, after a tasty lunch of grilled chicken, rice, broccoli and feijao (black beans), we visited the Imperial Palace where the two emporers of Brazil lived. No photos allowed inside but here's what it looked like outside. 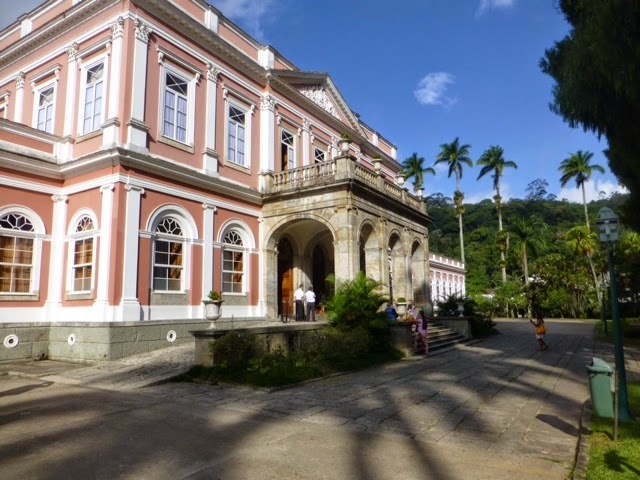 The Imperial Palace of Dom Pedro I and II. 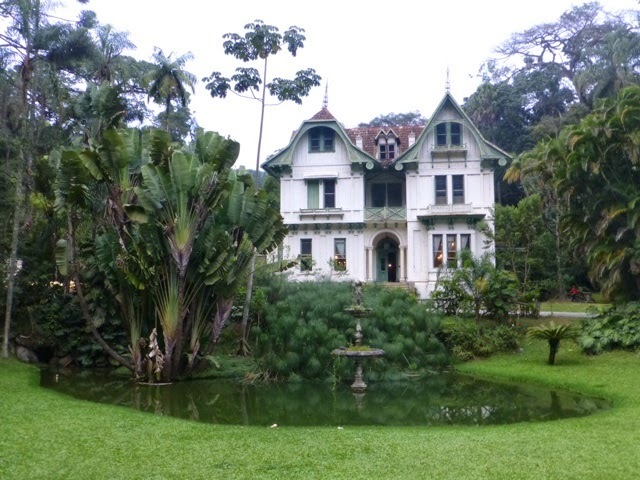 Our last stop for the day was a visit to Casa de Iperanga, an old Victorian style home built in the late 1800's with an elegantly designed garden. 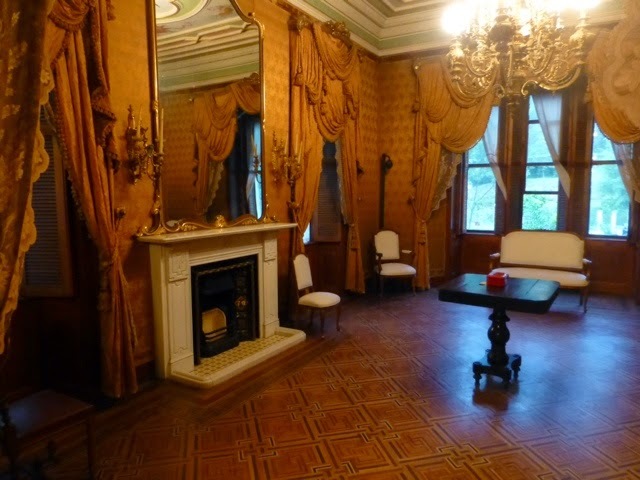 It was owned by a wealthy coffee merchant, Jose Guerra, whose descendants still run the property. Although it had obviously seen better days, we got an informative, private tour of the house by the great-great nephew of the original owner. 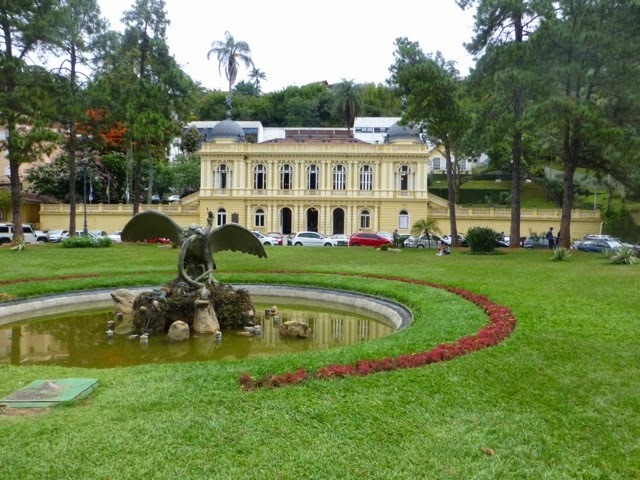 One of the interesting aspects of it was that it was one of the first homes in Petropolis to have electricity. 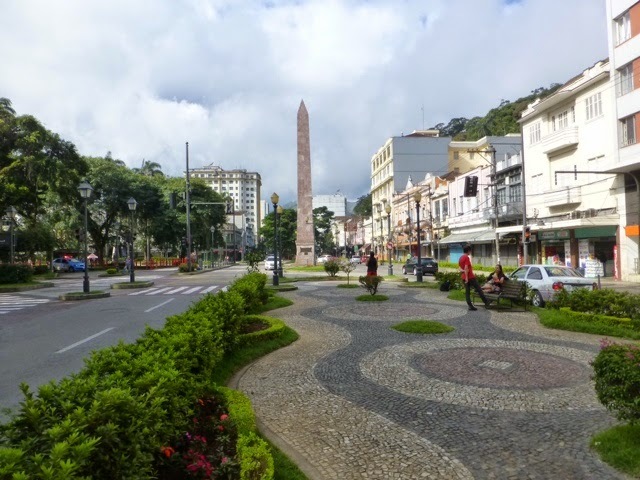 Our last day in Petropolis was spent mostly on walks through town, taking in the scenary of a city I'll probably never visit again but one that was once an integral part of my youth. It's a place that's at once familiar and yet foreign to me. 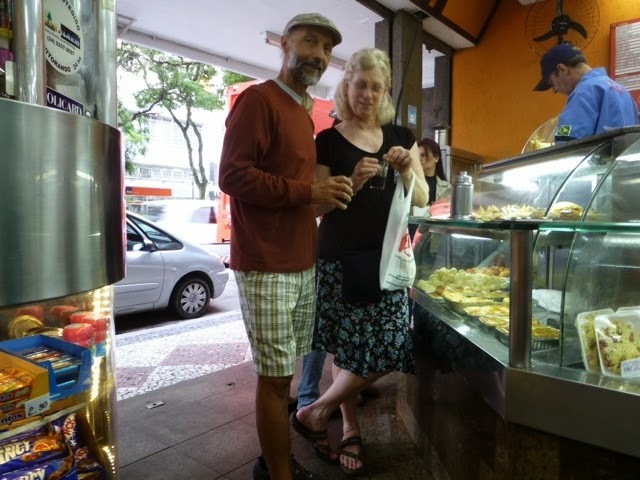 Having a "cafezinho" or espresso. The cathedral of Sao Pedro de Alcantara.